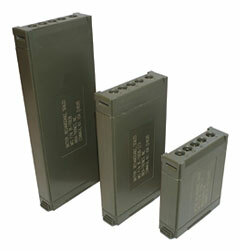 Bren-Tronics produces ruggedized batteries, battery charging systems, and expeditionary power sources designed for the unique needs of Air, Land or Sea military operations. IDZ Bazic System with solar charging. Photo © Bren-Tronics. 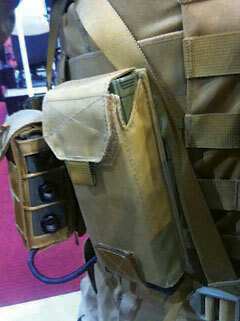 Q: I know Bren-Tronics recently celebrated a 40 year anniversary of supplying portable power solutions to the military. Over that time, I think your success has been closely tied with your ability to evolve technology to keep pace with the changing power consumption needs of the warfighter. Can you give me your thoughts on this? A: Over the past 15 years, the Lithium Ion cells specific energy (Wh/Kg) nearly doubled. It required a permanent evolution of the battery management system for user safety and product reliability. Improvement in both electrochemistry and electronics is leading to a lighter-weight, compact and ruggedized power supply for the warfighter. Simultaneously, the consumption of an integrated warfighter vest was nearly halved, from 25W down to 12/15W in the past 10 years. Q: Over those years, what have you seen as one of the greatest challenges facing portable power? A: Extreme temperature operations are always challenging. Originally qualified for -20°C operation, Bren-Tronics solutions are powering systems down to -40°C. Such evolution is the result of a close relationship and hard work with the system integrators to adjust system power consumption and battery power supply. Today Bren-Tronics offers the most optimized and standard power platform for integrated vests including very high capacity rechargeable batteries, power connection and distribution modules and charging solutions. Q: With that ability to meet constantly changing needs in mind, specifically with the need for longer-lasting, lighter-weight, “man worn” batteries, what are the latest offerings deployed and in development by Bren-Tronics, that you are at liberty to discuss, of course? A: Our field experiences have taught us that the modern warfighter needs agility and modularity to adapt his system to the mission. Therefore, we designed a range of lithium ion batteries of various lengths and capacity but same voltage, form factor and connection. Depending on the mission duration, the soldier can adapt his battery burden. Moreover, we are working on the next cell capacity generation. Today’s standard battery pack performances are 72Wh under 10.8V and weigh 370g (195 Wh/kg). In 2015, the same pack will offer 82Wh for the same weight (220Wh/kg). Q: In addition to Size, Weight and Power, which is always an issue with any kind of electronic gear carried by warfighters in theater, when it comes to batteries, I know universal charging compatibility has been an issue. Explain that challenge, and how Bren-Tronics is addressing it. A: Extended life, flexibility and compatibility, these are very important to the war fighter and to us. Even as battery performance is evolving, we are making sure to keep full compatibility with all related accessories such as vehicle mounted chargers. When Bren-Tronics first introduced the lithium ion electrochemistry for military batteries back in 1995, the question of the charging solution occurred. Indeed, Lithium Ion requires a strictly controlled charging profile for safety purposes. Instead of designing one charger per battery type, or upon customer demand, we took the lead on designing chargers per operational usage (vehicle mounted, soldier portable, and maintenance). The same charger supports all types of chemistry (NiCd, NiMh, Li-Ion), battery voltage and form factor. New charging profiles can be downloaded for charging capability evolution. 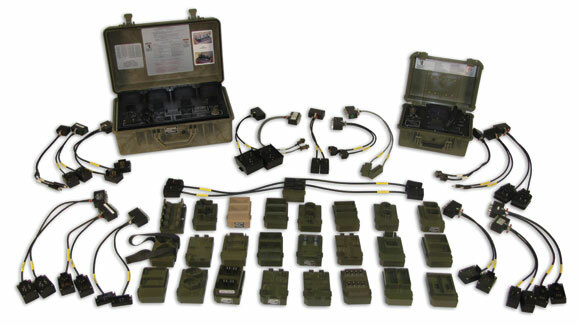 As of today, more than 65 different types of military battery packs are supported by Bren-Tronics Universal Chargers. Q: With multi-force “coalitions” often responding to the Global War on Terror, or Natural Disasters, I would imagine such interoperability becomes even more important. A: Indeed, yes. Joint operations such as Afghanistan, highlighted the performance of such concept for interoperability. When the French Army received US Army radio-communication equipment for interoperability, they found out that both were already using the same charger. Hence, the battery logistic was not an issue. 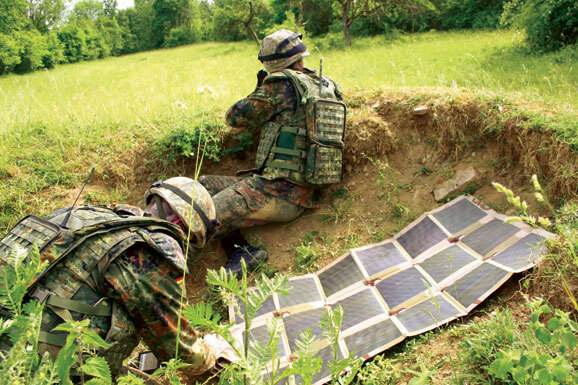 Q: Is evolving network, communications and other sophisticated electronic gear carried by the warfighter driving the evolution of better portable battery technology, or is it the other way around, or really a synergistic combination of both? A: The battery technology is driven by consumer market such as the laptop industry. The Military market represents less than 1.5% of the yearly worldwide production. However, military gear requires high standards to deal with severe environment operations; not only does it require skills in electrochemistry but also mechanic, software, thermal engineering…etc. Then, the adaptation to a warfighter system is the result of a synergistic combination of both the integrator and the battery designer. Since 2000, Bren-Tronics is dealing with all the major worldwide defense and security system integrators. We are currently involved in more than 10 Soldier Modernisation Programs. Universal charger concept. Photo © Bren-Tronics. Q: I know you are familiar with the concept of “tactical to practical,” or how lessons learned on the battlefield find their way out of military applications and into more commercial or consumer oriented applications. Can you give me your thoughts on this and ways in which Bren-Tronics breakthrough military battery tech, is have implications beyond solider modernisation? A: As previously explained, military power solutions must operate to the limits (or beyond). Our products suit any severe climate environment applications. Therefore our technology is being deployed for industrial usage such as petroleum industry or solar power industry. However, Bren-Tronics expertise remains focused on markets where no one can compromise: safety, reliability and performance.